CORTLAND, N.Y.— The Cortland County Legislature voted unanimously to approve the proposed 2019 Occupancy Tax allocation funding on Thursday evening. The total occupancy tax revenue available for distribution in 2019 is currently $500,000, compared to 2018’s available revenue of $567,200.00. The total revenue distributed in 2017 totaled $611,100. Nearly two-thirds of the twenty-three county nonprofit organizations/events that applied to receive funding from the occupancy tax revenue will experience a decrease in funding from previous budget years. What is an occupancy tax? Occupancy taxes are taxes paid on temporary lodging, i.e., hotels, motels, condos, vacation rentals, bed and breakfasts’, private residences, and other similar places. The tax rate was capped at five percent of the “per diem rental rate for each room,” excluding permanent residents (any occupant of any room for at least thirty consecutive days). As part of the local law, every operator is directed to file a return of occupancy of rents (and applicable taxes) to the County Chairman on a quarterly basis. All revenue, except for a maximum of ten percent which is retained by the county to defer the expenses of administering such tax, is allocated to county nonprofit organizations and events that promote tourism. The sharpest drop in funding will be felt by the Cortland Downtown Partnership. While most organizations/events saw anywhere from a zero percent to twenty-five percent drop in funding, the Cortland Downtown Partnership lost seventy-five percent of its allocation from the 2018 calendar year, falling from $20,000 in 2018 to its current allocation of $5,000. An earlier proposal allocated $0 to the Downtown Cortland Partnership, but a last minute change at an earlier meeting of the Budget and Finance Committee added $5,000 to their allocation after the committee decided to deduct $5,000 from the Cortland County Convention and Visitor’s Bureau (CVB). 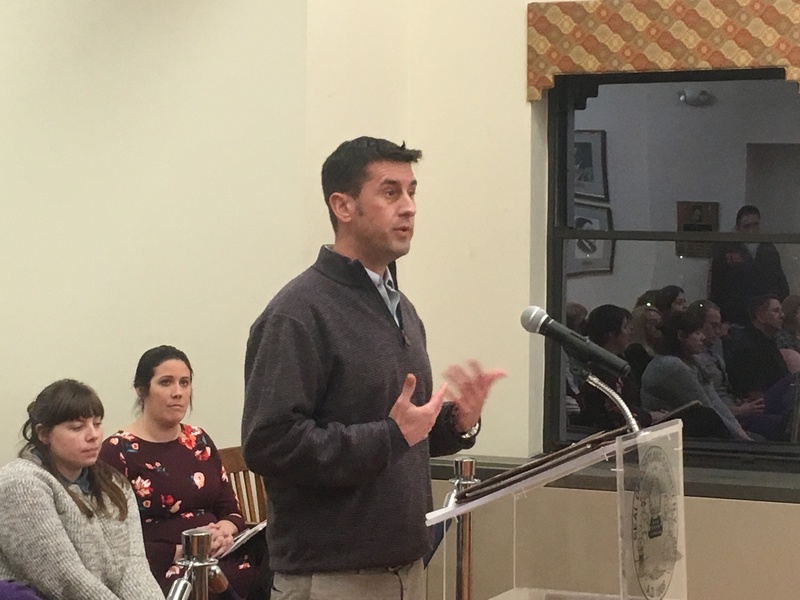 During the public hearing section of the county meeting, both Adam Megivern, Executive Director of the Cortland Downtown Partnership, and Evan Geibel, President of the Board of Directors of the Cortland Downtown Partnership, spoke out against the proposal to slash their funding for the upcoming year. “This is a major piece of our budget” Geibel said, reiterating “every penny is, really.” Both Geibel and Megivern acknowledged the difficulty in accomplishing the partnership’s future goals with severely limited funding. Cortland is the county seat, and Main Street in the city of Cortland is viewed by many as the epicenter of the county., and the The Cortland Downtown Partnership’s role in marketing and events, most based on or around Main Street, is considered by some as pivotal for attracting tourists. The Cortland Downtown Partnership was established in 2006 to “enhance and promote the commercial and cultural offerings of Historic Downtown Cortland,” hosting such events as Chill-A-Bration, the Cortland Main Street Music Series, the Great Cortland Pumpkinfest, and Taste of Downtown, among others. These and other events are at risk of being canceled due to the county’s tightened purse strings. The primary purpose of the occupancy tax allocation is to generate the greatest possible return on the dollars spent at county lodgings, and preference is given to attractions that drive overnight and multi-night stays. Some argue that the Cortland Downtown Partnership’s events are great for local and community residents but don’t necessarily translate into overnight stays. Various county stakeholders spoke out during public comment, and while they recognized the difficulty in making budgetary decisions with a finite amount of money, they advocated for the county legislators to allocate the necessary funding needed to make good investments that will generate business and manifest overnight stays. County legislators had held brief discussion before unanimously approving the proposed budget cuts for 2019. The Cortland County Budget and Finance Committee met at 4:00 p.m. on Thursday, two hours before the county legislature meeting, reporting that the Ramada Inn, located at 2 River Street in Cortland, still owes the county $70,000 in occupancy tax funds. Sara covers local government for the Cortland Voice. Got a news tip? Email news@cortlandvoice.com.